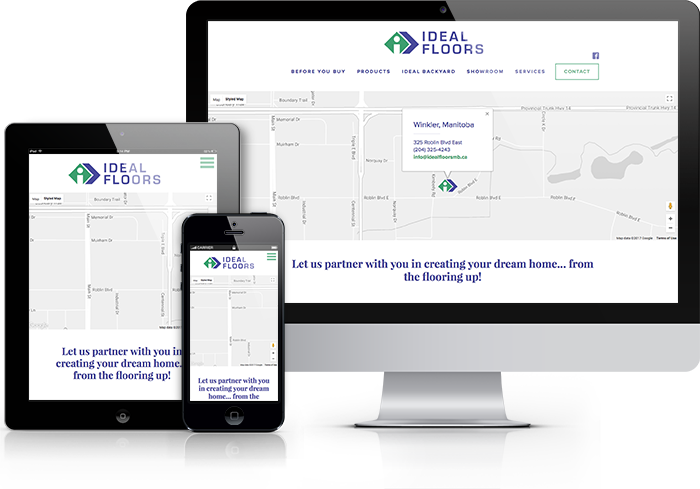 We have had the pleasure of working with the folks at Ideal Floors for years, and have developed a great relationship with them. 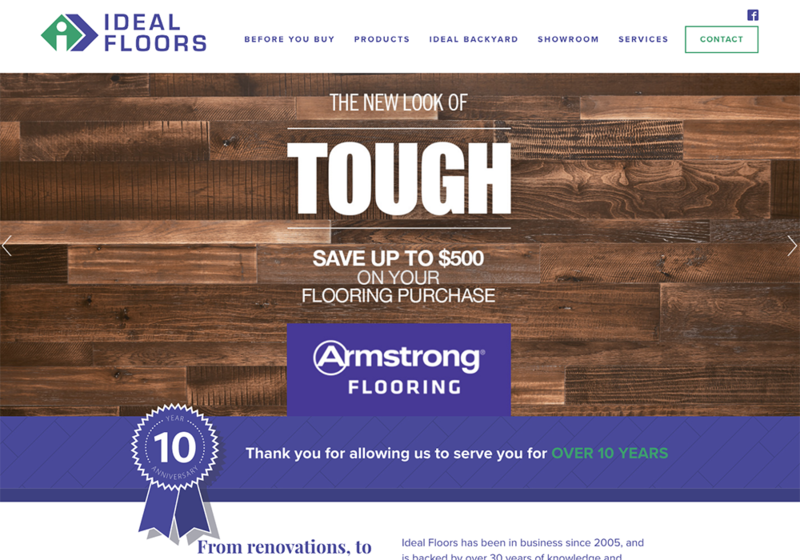 As they approached 10 years of serving their clients, we came together to create an anniversary badge in addition to a updated, custom website and refined visual identity. The Visual Identity became a polished version of their original logo, coupling their history with a timeless font family. 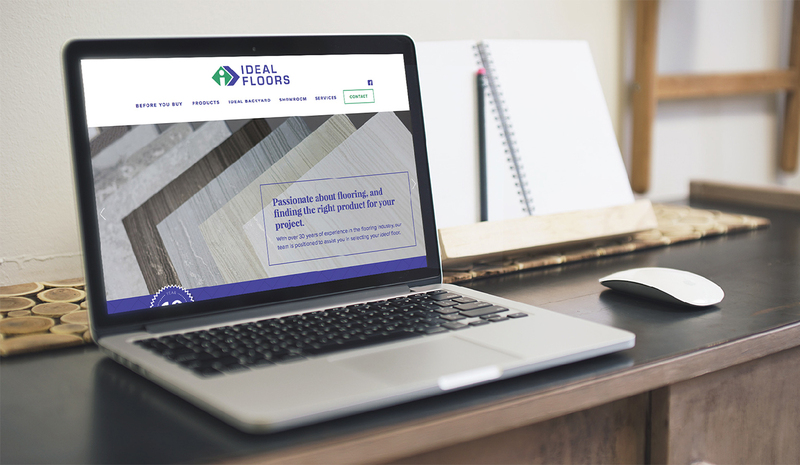 The website revisions incorporated the already valuable information with a design that made finding product easier, verbiage that spoke to their commitment to relationship and quality and a social engagement feed. In addition to website design & development, Helium has provided assistance with marketing strategies targeted for our business. They did a logo re-brand for us, which was subtle but brought us to a more polished professionalism. They’ve also helped us sort through the tangle of advertising options to select the best way to spend our advertising dollars most effectively. When building into our team, Helium was able to navigate us through understanding personalities. Sherri mediated some sessions with our staff and ultimately diffusing misunderstandings and misconceptions. Our atmosphere is so much better now and our team is working together!